Almost one in 5 franchisees (19%) who launched their business in the last 2 years was under 30 years old, up from 14% five years ago. These driven and committed young people are hungry for business success and understand that the training and support they receive from the franchisor more than makes up for their own lack of experience. They have a network where there are hundreds of years of experience to tap into and leverage. Franchisees are increasingly understanding that the franchise route may enable them to scale up more quickly, either by purchasing another franchise territory, a re-sale, or an acquisition. In 2015, 29% of franchisees involved in the survey ran more than one outlet, up from 21% in 2010. This trend is echoed at Belvoir where many of our franchisees acquire more than one outlet. Davinder Gharial is a good example of someone who expanded their business within a relatively short time period. The entrepreneurial spirit of the U.K. is riding high with more and more people looking to start their own business. The Times recently reported that employment rose by 55K in the 3 months to June 2016, but only 5K of those are employees. The rest are self-employed. In 2015, 74% of franchisees questioned in the survey had traded their job for a business. This is up from 52% in 2001. You can also find out more by downloading the Times report, "The Future of Franchising" which was published in March and which features Belvoir. 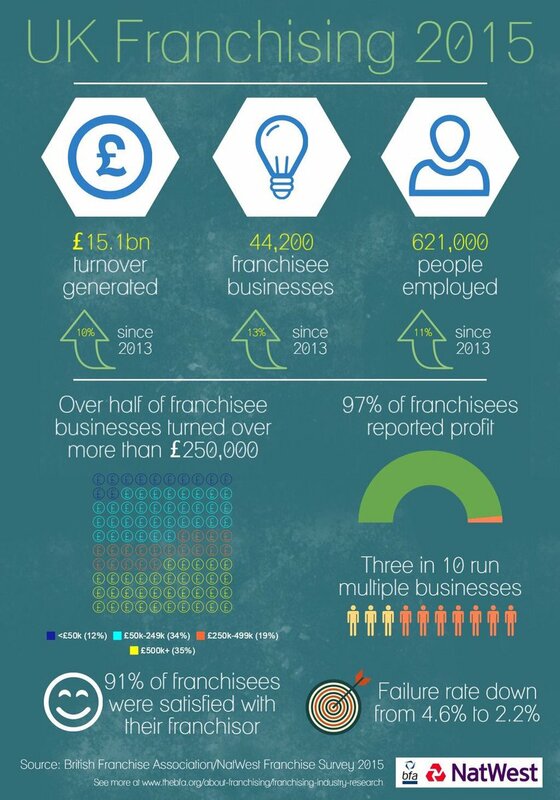 You can also explore the BFA/Natwest 2015 Franchise Survey. Ready to take action? The next stage is to book yourself onto a "Discovery Day". > BELVOIR OFFICIALLY THE UK’S LARGEST PROPERTY FRANCHISE GROUP!